A man died at Dunmurry rail halt in the south of Belfast yesterday afternoon. 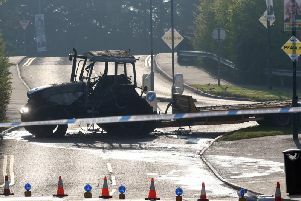 The PSNI said officers from Lisburn attended the scene and that the death was not being treated as suspicious. He was reportedly struck by a train at around 2.45pm. Translink reported rail delays, including that the cross-border Enterprise had been delayed at Dunmurry.